Are you the type of girl who loves outdoors but still prefers looking fab? 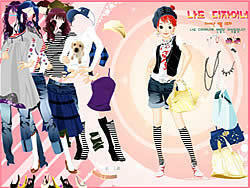 Well here's a dressing up game where you get to choose from a wide collection of sporty and fabulous clothes. Enjoy!